That’s the number of emails the average person receives per day, according to a study by the The Radicati Group. While there is definitely steep competition for attention, a strong subject line will put all eyes on your email. That’s why I’m going to share five stellar examples of email subject lines that you can adapt for your own campaigns to cut through the noise! According to the Email Institute, email subject lines that create a sense of urgency can lift open rates by up to 22%! When a consumer feels a sense of urgency they are compelled to move through the sales cycle quickly so they do not miss out. 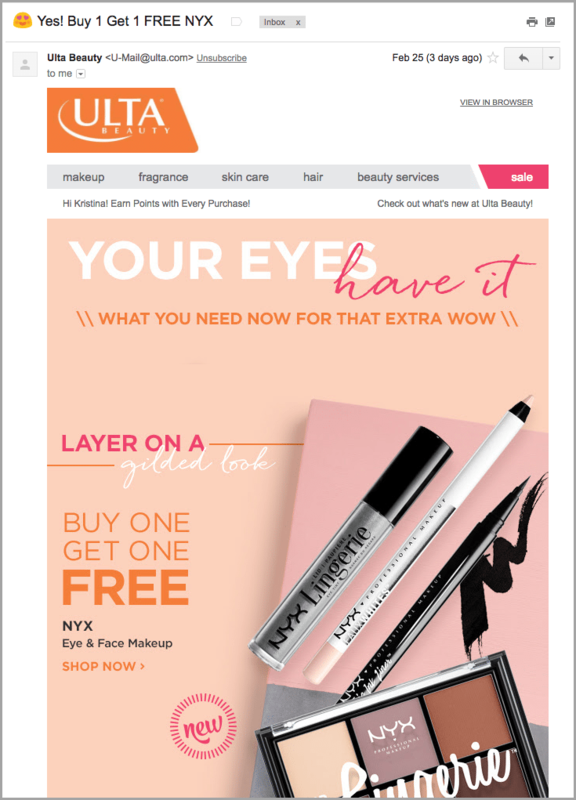 Brands can create a sense of urgency by offering a limited time sale, limited quantities of a popular product, or a limited time to sign up for something. 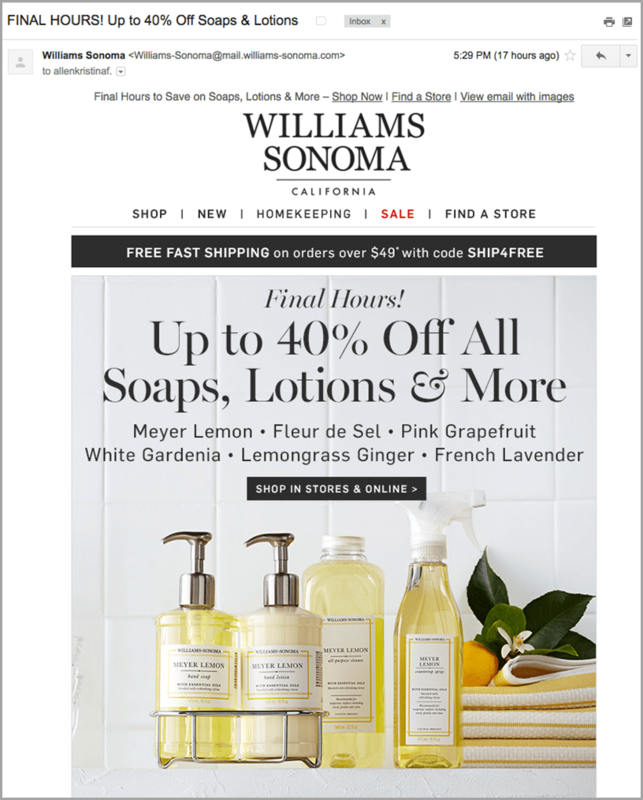 In the example below, Williams Sonoma creates a sense of urgency by saying “FINAL HOURS!” for a sale of 40% off. That’s a pretty big discount and people on their email list won’t want to miss out on it. Therefore they will be compelled to click through and purchase right away. 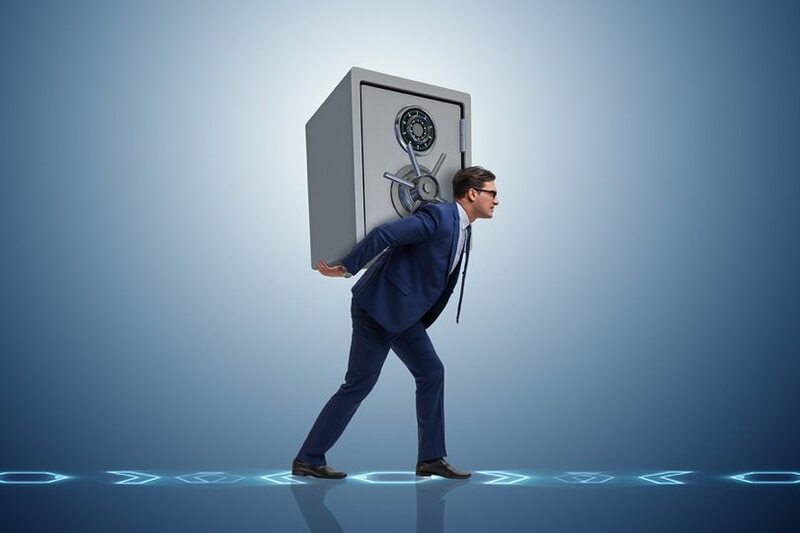 Creating a sense of urgency doesn’t have to direct people to do something within the next few hours, but if the deadline you’re promoting is too far away, it won’t evoke a sense of urgency. 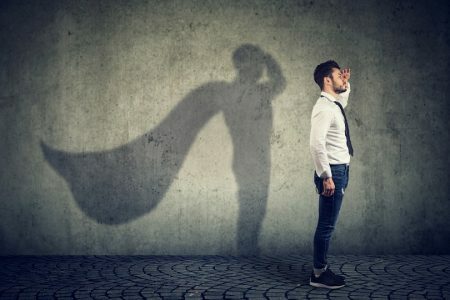 The latest email marketing research from Sidekick has found that subject lines with the word “tomorrow” in them tends to lift open rates by about 10%. That factor alone may indicate that sending an email 24 hours in advance of a promotional deadline is an effective tactic. Learning which subject line best resonates with your recipients will help you craft higher converting emails. By now you have probably heard about influencers. These are people who have a lot of followers on social media or fans in general. 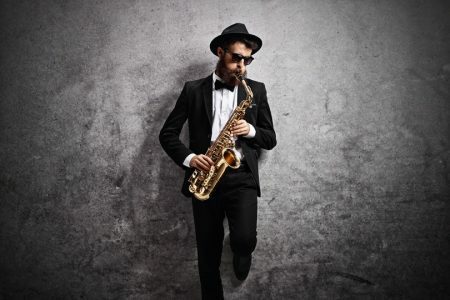 Famous actors and actresses are traditional influencers, but popular YouTube personalities and bloggers are also considered influential. The one thing all influencers have in common is the power to mobilize their thousands or even millions of followers and fans. One tweet, Instagram story or blog post from the right influencer can make a product sell out instantly! Once you develop a working relationship with an influencer, it’s common to leverage that relationship on Facebook, Instagram, Twitter and so on, but why not take it a step further to email? 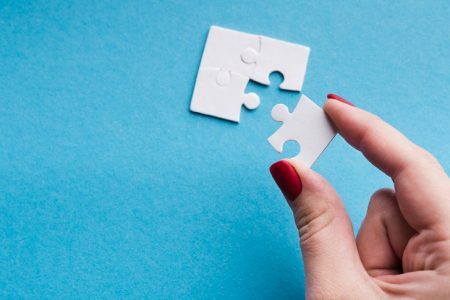 If the influencer you’re working with has name recognition with your target audience, use your relationship to the maximum possible extent to increase sales. 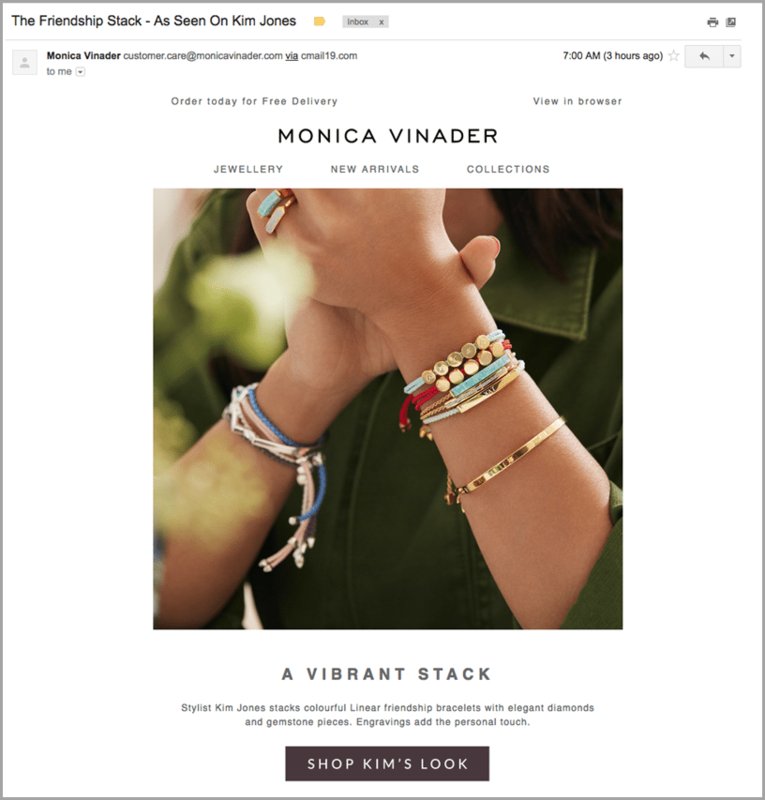 Below you’ll see an example of jewellery company, Monica Vinader, use the name of a well-known stylist (Kim Jones) in not only its email subject line but within the body content as well. Using the brand’s relationship with Kim Jones in email marketing campaigns will increase both the company’s open and click-through rates as readers will be curious to find out what Ms. Jones thinks. Do you know anything about your customers or prospects you can use to customize your emails to them? Perhaps you know their first name? Even better, do you know something about their likes and dislikes? 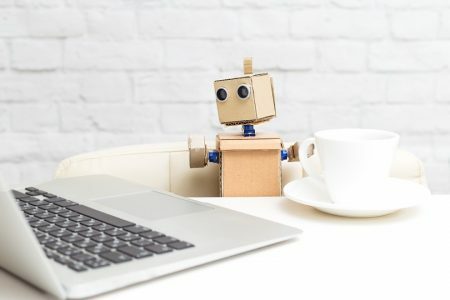 According to Experian Marketing Services, personalized emails deliver six times higher transaction rates but less than 30% of brands use personalization. Don’t lose out on sales by skipping over this easy but important email element. There are several ways you can personalize emails. Customize the subject line and/or customize the body content. 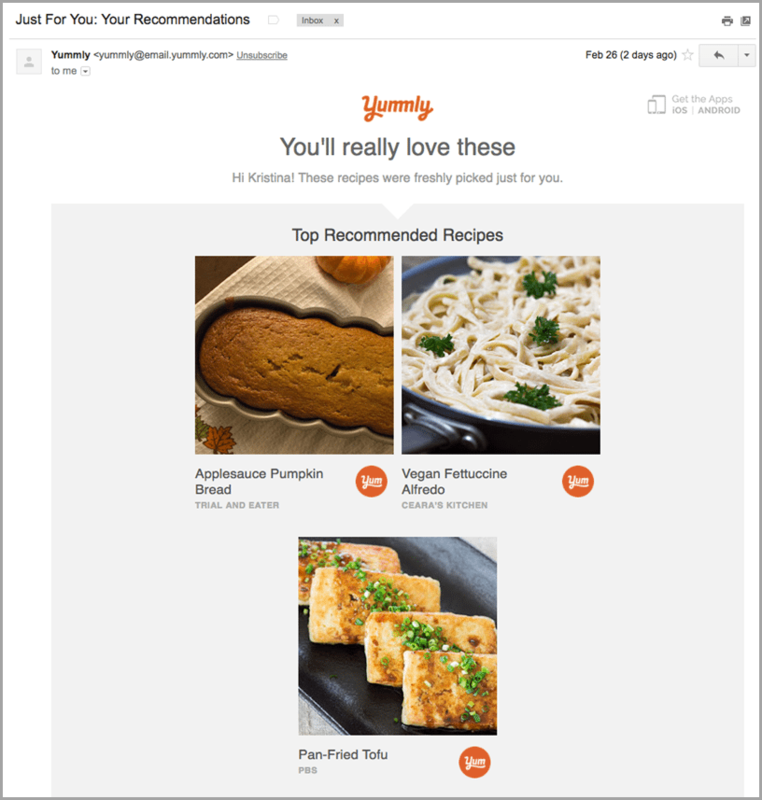 In some cases you may be able to simply say “Just for You” in the subject line, and use the body content for the payoff the way recipe app Yummly does. Inside the app, users can save recipe preferences such as “gluten free” and “vegan.” Depending on the preferences, Yummly will send recipe recommendations personalized to the user’s tastes! What information do you have that you can leverage for your email campaigns? Think about it and make use of it right away! Emojis aren’t just for texting and tweets. According to a study by Experian, 56% of brands that use symbols and emojis in their subject lines have a higher-than-average unique open rate. Trying different symbols can add a ‘wow’ factor to subject lines. For example airplanes ✈ lift open rates by 10.7% while umbrellas ☂ generated a 50% lift. Your use of symbols has to make sense, however. If you’re an airline carrier, using the airplane symbol is smart! If you’re a shoe company using the airplane symbol may not make sense. Seeing a colorful emoji in an otherwise black and white inbox is definitely eye catching and adds a playful element to what may be considered an otherwise boring form of content. Not every target audience will be receptive to emojis, however. Think about the context of your email and who you’re sending it to. For example, I wouldn’t advise sending an annual financial report to your board of directors with the heart emoji even if you’re really satisfied with your numbers! I think it goes without saying that we all love free gifts. The only problem is that the word “free” in a subject line will often land your emails in the spam folder. Get creative with the ways you word your offer! 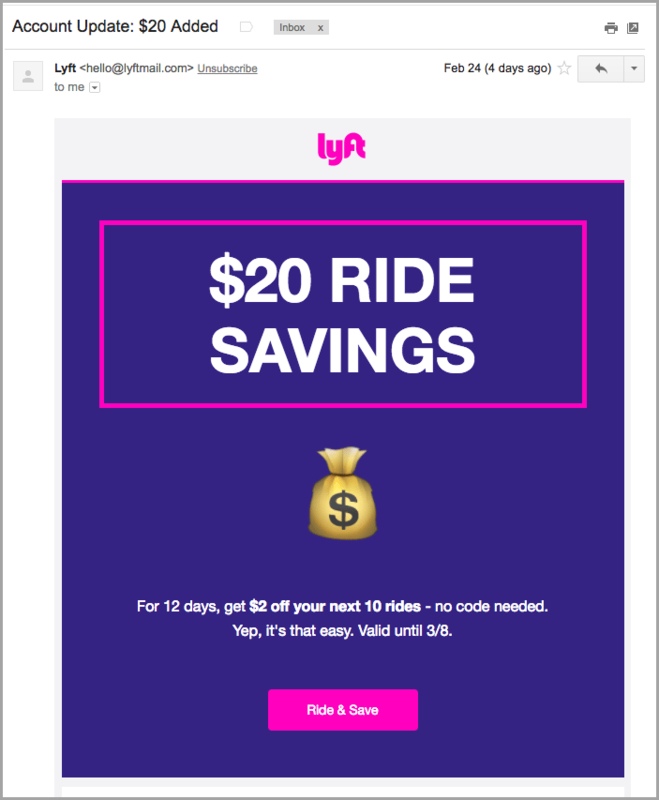 Check out the example below from Lyft. Instead of saying “Free Gift” the company gets specific and lets its customers know that $20 has been added to their accounts. Getting specific in the email subject line accomplishes two things. It gets around the spam filter issue and it also excites your recipients who will know exactly what the awesome offer is you’re sending. This excitement will only build, however, if your offer is worthy of the subject line. So be sure to offer something good! Don’t be shy! Today is the day you can commit to creating email campaigns that start a real relationship with your customers and prospects. Begin by evaluating the data from your previous email sends. What seemed to work? What was a total flop? 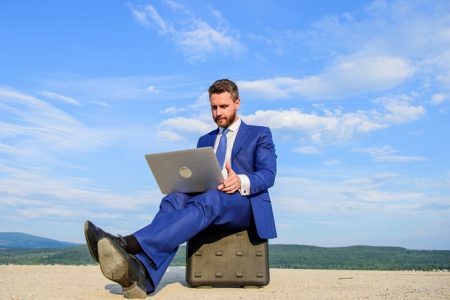 Don’t be embarrassed by lacklustre results; simply use those numbers as a benchmark you’ll strive to surpass with your next email campaign using the tips in this post! Do you have any questions? If so please leave a comment below and I’ll do my best to respond asap! 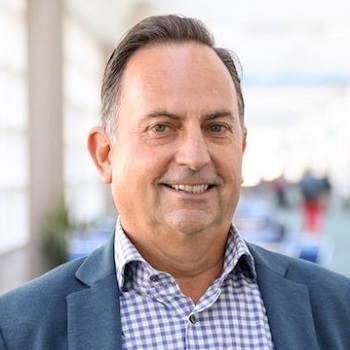 Guest Author: Jonathan is the Content Crafter and Marketer for Foundr. A place dedicated to empowering each and every entrepreneur out there with the best knowledge, tactics and actionable advice on the planet.